The Goby Fish belongs to a very large fish family (Gobiidae) that comprises over two thousand distinct species. There are a variety of gobies that inhabit marine waters as well those that inhabit fresh and brackish waters. Gobies typically have small bodies that are shaped like a torpedo and can easily be distinguished by the morphed pelvic fins they have. Goby fish also have a tendency to get attach on aquarium tank walls or the décor there. The fish is capable of attaching itself on the walls of the tank by way of the sucker that they have. While there are fresh and brackish water goby species they are not usually as many as the marine water variety. It is interesting though to note that the fresh water varieties of goby fish are usually well adapted for a wide range of habitats including the captive habitat. It was not until recently that the fresh water varieties of the goby fish were discovered and finally introduced into the aquarium hobby. The gobies generally have tapered bodies with big heads although they have relatively small bodies. A large percentage of fish from the goby family exhibit pelvic fins that are fused thus forming a structure beneath them that look like a suction cup. Interestingly, it is this suction cup-like structure that the fish typically use to attach itself to rocks in the ocean to avoid being swept away by the currents in the ocean. Due to the many different varieties of the goby fish species that exist, it is difficult to categorically give a definite definition of each of the fish appearance. Much of such description will mostly just be generalist to help give the reader a general idea of what the fish is like. The fish general inhabit the coast mostly in tropical and warmer temperate regions. A big percentage of the fish are marine inhabitants but there are also other varieties that inhabit fresh and brackish waters. The gobies are known to exist in different parts of the world including East Asia, the Pacific Ocean and even the Americas. Gobies are usually very small fish and will not grow long therefore you will not need to have a very large tank. A small tank will readily do as long as you have kept the tank requirements as advised by experts. Another good characteristic of the fish is that they are hardy and will survive in a variety of conditions but this is not supposed to be taken for offering them poor care. When they are properly taken care of, the fish have the capability of living up to ten years long! Avoid keeping the fish with large and aggressive fish in a community tank. They are slow swimmers and can easily make a meal to large fish. 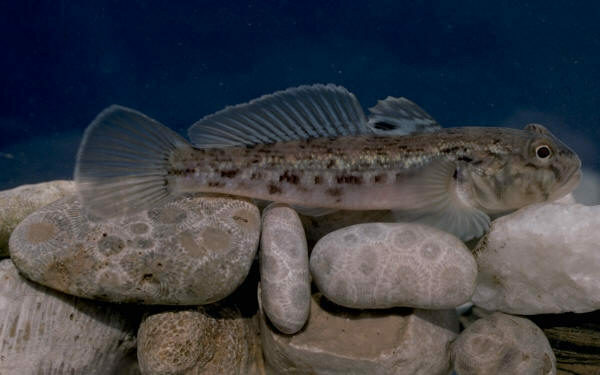 Because gobies prefer residing on the bottom parts even in the wild, it is best to provide them with a softer substrate. The fish can easily dig holes in the substrate where they can hide when feeling threatened. Gobies are usually peaceful but this doesn’t mean that they can sometimes turn territorial and even aggressive against other fish. This therefore means that if you plan to host more gobies in the same tank it will be best to have a bigger tank. For the marine type of goby, providing marine environment such as coral reef where they can easily hide when being chased around is good. Have a quality water filter or skimmer installed in the tank to help keep the water quality great and healthy for the fish. You can provide some rocks in the aquarium as these will help to replicate the natural for the fish. Goby fish are carnivorous fish that will eat both plant and animals. Feeding the fish pellet or artificial food and live foods is just okay. Some of the common foods that they can be offered include; daphnia, live brine shrimp, blood worms, and Cyclops. You can also feed them live Tubifex which they will east graciously. If you wish to feed them frozen food, ensure that there is slight current in the tank to make the food appear moving. Gobies are very funny in their feeding habits and may not east food offered to them that appear still. You can also offer the goby live fry of cichlid. If there is any fish that is complicated to breed in the home aquarium then it is the gobies. These fish usually depend on certain specific changes to the water parameters for them to be able to successfully spawn. 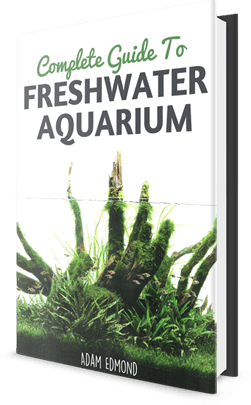 If you are attempting to breed the fish in your home aquarium it is best to place the fish in tank that has got lots of caves or hiding places. For best results, it is best to keep one goby male fish with at least three females. It is the male that usually initiates breeding amongst the goby fish. The male typically entices the females to come into a spawning area usually under a cave. The female will follow the male and lay her eggs on that place and the male will finally fertilize the eggs. The Goby Fish belong to a very large fish family known as the Gobiidae. Majority of this fish species are known to inhabit marine tropical waters off the coasts of major continents in the world. There are also fresh water varieties of the fish known to inhabit areas where rivers or streams meet oceans.